If you are a Liverpool fan, you will know that there was only really one striker that Brendan Rodgers had on his mind and it has now been confirmed that Liverpool will pay the £32.5 Million it will take to trigger Christian Benteke’s release clause. It was apparent that there just was no budging on the figure as far as Aston Villa were concerned and seeing that Liverpool only had eyes for Benteke, it makes sense to get the deal done by paying the little bit extra and getting Benteke as good a chance as possible to hit the ground running for Liverpool. 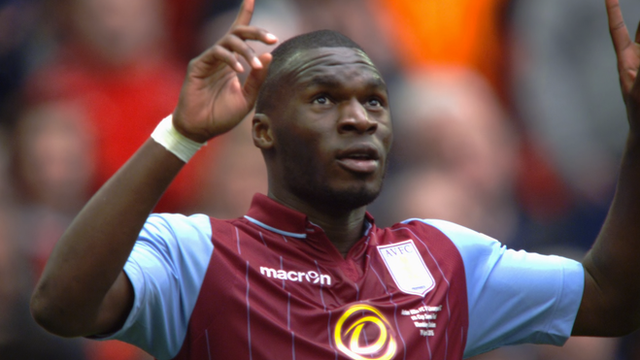 Now, there will be questions as to why, Benteke is the only real option that the club have even considered, but the reality is, there is not much any of us as fans can do now. Sending tweets to John Henry asking for Reus, may make you feel better, but the reality is, it’s not likely to achieve anything. (Just ask me, I tried to get John Henry to make the Mkhitaryan and Mata deals happen!). But what is clear, Rodgers has got his man, and barring any issues which may or may not be present during negotiations on personal terms and subject to a medical, Rodgers will soon get to work with Benteke in order to get the season off to a flying start. I for one am not concerned by either the fee or the player. The fee is what it is, that’s just the way it works sometimes and much more importantly, the player is a really good striker, about to hit his peak years and I am certain, Rodgers has a plan for him due to the sheer tenacity evident in the pursuit of the player. We can after all agree, that with Benteke, Ings, Origi and Sturridge, our striking department has literally improved by the required 157%, so for the meantime anyway, lets all just celebrate the news and give our new superstar striker a warm Liverpool welcome. ← Are FSG Really The Best Owners for Liverpool FC?